Home In The News	This is one dumb movie. In the smartest possible way. This is one dumb movie. In the smartest possible way. Yes, terms and conditions do apply. Knowing what the heck The Three Stooges are would be a good place to start. But who reads the fine print these days anyway? You want laughs that are just gonna happen? Whether you feel like laughing or not? Then look no further. And you better look out as well. 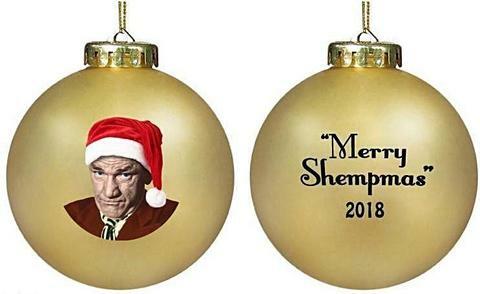 All three Stooges were harmed in the making of this picture. If you cannot handle the sight of these knuckleheads committing non-stop acts of grievous bodily slapstick for 90 straight minutes, you could get hurt too. 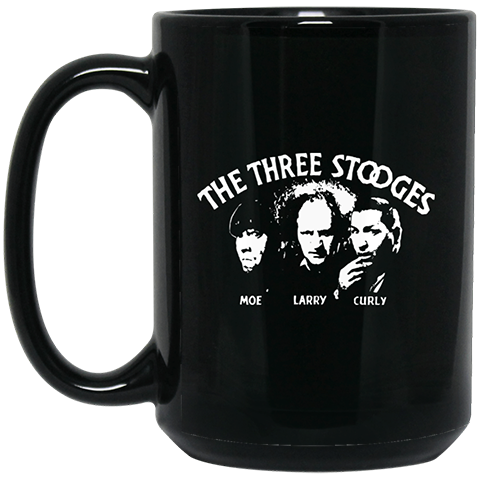 Students of comedy history will already know all about The Three Stooges. They were a popular act in the 1930s and ’40s, forever poking, prodding and pushing each other over in scores of short films. Later, the boys found a huge following on TV. It was base, broad and bad-mannered stuff. In many ways, the Jackass of its day. It was inexplicably funny then. And it remains so to anyone amused by a blow to the noggin’ accompanied by a ridiculous sound effect. As for this new feature film reboot, it can be filed confidently under “snatching triumph from the jaws of disaster”. The once-notorious Farrelly brothers (There’s Something About Mary, Kingpin, Dumb & Dumber) rediscover their long-lost comedy mojo by translating the ancient idiocy of The Three Stooges to the present day. It all makes just as little sense now as it did back then. And it still makes the involuntary chortles come thick and fast. Let us take one random minute from the movie as an example. One Stooge successfully climbs a ladder while operating a chainsaw. Another Stooge gets all of his facial features temporarily reconfigured by a socket wrench. And the other Stooge? He successfully drops a 10-tonne church bell on the head of a nun. Yes, the sweetly stoo-pid spirit of the Stooges has been immaculately preserved. Let’s meet them, shall we? First of all, there is Moe (Chris Diamantopoulos), the nominal brains of the outfit. Next up, Larry (Sean Hayes), the simpering second banana. Haircut: retired circus clown. Temperament: slouchy. Finally, Curly (Will Sasso), the third wheel with a flat tyre. Haircut: billiard ball. Temperament: ouchy. The solitary assignment handed to the trio for the duration of the picture is to raise $800,000 in three days to save the orphanage in which they have been raised. And, er, still live as adults. Needless to say, this difficult task is so far beyond the capabilities of the Stooges that it does not matter. But it does give them the opportunity to indulge in a spectacularly surreal array of ridiculous high jinks. After seeing the Stooges bring a hairy-chested cop out of a coma by defibrillating him with hot clothing irons, I was putty in this movie’s hands. 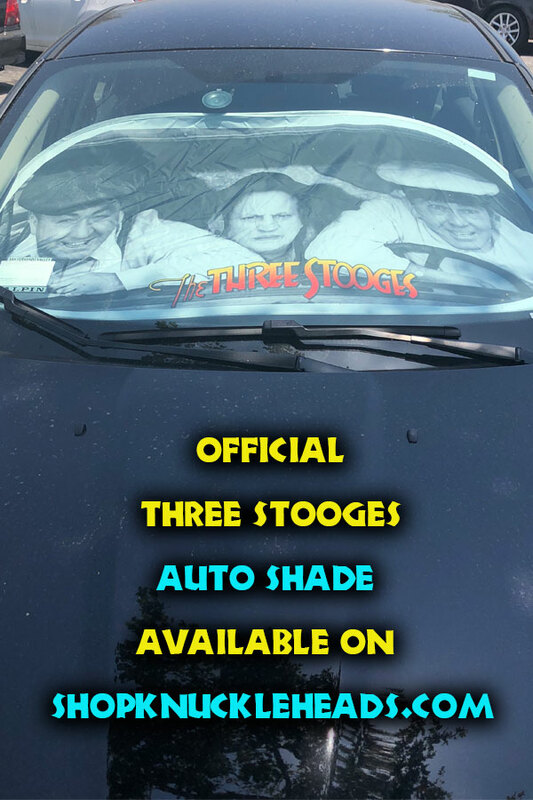 I strongly suspect that many people of many different senses of humour – whether they dare admit it openly or not – are going to feel the same way about The Three Stooges. 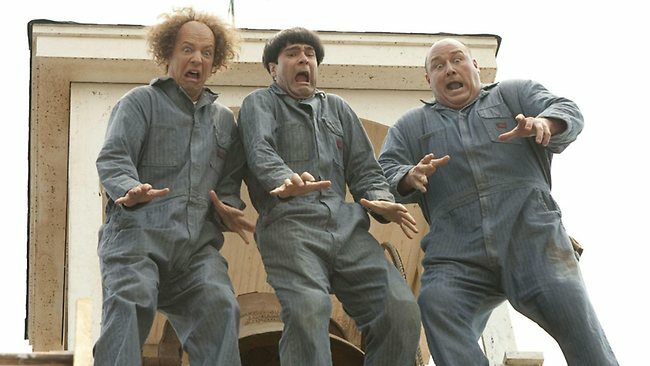 New York Times reviews the new Three Stooges Movie and makes it a Critics Pick! Nyuk! Nyuk! Nyuk! Everywhere You Go With Your Three Stooges Prepaid Debit VISA Card!